But this does not mean that you need to go home empty-handed if you come to Bruges on a Sunday. Many specialist stores are open on Sunday as well. And on ‘Shopping Sundays’ – the first Sunday of the month, except on public holidays, from 1.00 p.m. to 6.00 p.m. – they are joined by the majority of the other shops. 这一富饶之都的赫鲁杜瑟贵族宫殿热情恭候您的光临。博物馆中陈列着反映了十五世纪到十九世纪间的日常生活的各种物件。最引人注目的是荣誉大厅中美丽的挂毯、别致的壁炉和豪华装饰的房梁，—见证着赫鲁杜瑟贵族们的财富与奢华。 By spring 2019 (subject to amendment), you will once again be able to admire this luxurious city palace of the lords of Gruuthuse in all its magnificent glory. 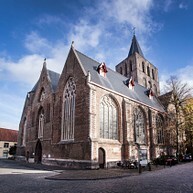 This simple Gothic single-nave church, built in the 17th century, surprises with the opulence of its rich Baroque interior – the result of donations by wealthy local patrons. 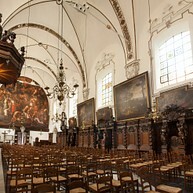 Admire the intricacy of the marble rood-screen, the rich wooden panelling with inset confessional booths, the canvases of Jan Garemijn and the largest single painting in all Bruges. 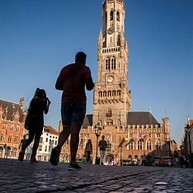 In this church, the only one in the city centre with a tower clock, many of the great Bruges artists have been buried. 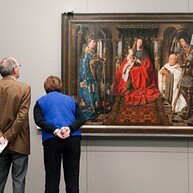 These include Hans Memling, Lanceloot Blondeel and Pieter Pourbus. The church originally dates from the 13th century, but was extensively rebuilt in the 15th century. The exterior is a fine example of the robust Brick Gothic style, while the interior has a more refined 19th-century Neo-Gothic look. In the middle of the 13th century, the modest St. James’s Chapel was elevat-ed to the status of a parish church. During the 15th century, this simple house of prayer was extended to its current size. 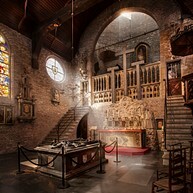 The church is now famous for its rich collection of art treasures, donated by wealthy local people living nearby, and for its fine examples of funerary art. 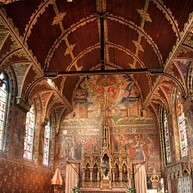 The Adornes estate consists of the 15th-century Jerusalem Chapel (a jewel of medieval architecture whose construction was financed by this rich merchant family), the Adornes mansion and a series of adjacent almshouses. 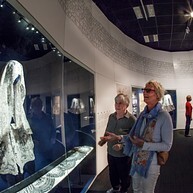 In the brand-new multimedia museum, you can follow in the footsteps of Anselm Adornes and learn all about the world in which he lived. 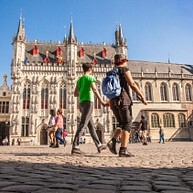 You will go on a pilgrimage, take part in a joust and meet many notable persons of the time, such as the King of Scotland, the Lords of Gruuthuse and the Dukes of Burgundy. 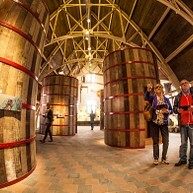 The top floor of the former post office building on the Markt is now the home of the Bruges Beer Museum. Using an iPad Mini you will discover the many fascinating facets of beer and the complexities of the brewing process (and that includes tasting!). 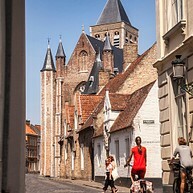 What’s more, you will learn all about Belgian – and Bruges – beer history, exploring the many different types and flavours of beer that our city and country produce. 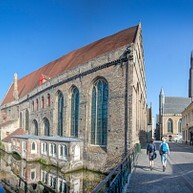 The kids’ tour tells the fun story of the Bruges Bear.